Forget complexity. A vital part of the leader’s new agenda is to bring simplicity to complicated systems. My favourite champion of simplicity is Belgian politician Vincent Van Quickenborne. His message is ‘Simplicity Is Power’, enshrined in his peculiar job title: Secretary of State for Regulatory Simplification. With missionary zeal, he reduced the number of days it takes to set up a company in Belgium from 56 . . . . . to 3. New company registrations have risen by 46 per cent in three years. The radical improvement he drove through met such virulent opposition that he even received death threats. As Machiavelli remarked, try to change something and you’re bound to make enemies. I trust that my application of Simplicity Thinking to businesses and organizations won’t trigger a similar response. However, in any professional field there’s a tendency to over-complicate in order to justify, an art in which many management thinkers are skilled. Rethink Simplicity Theory (RST) seeks to free up the brain power of leaders and managers whose minds are so full that even a 2 x 2 matrix is easily forgotten in the heat of battle. Here’s the theory. It’s really this simple. Remember that our DNA is similarly a yes/no, on/off system. The code for life is a series of noughts and ones in almost infinite combinations, so we can make the argument that a simple binary model could be the basic language for business. Let me explain a little further, but not too much, in case I make it unnecessarily complex. Let’s take your customers’ experience as a specific to demonstrate the theory. Can you honestly say that whenever or wherever a customer comes into contact with your business, they feel a ‘yes’ at every touchpoint? Over the telephone, through your literature, face-to-face with your people, designed into your product or service? Now these annoyances can be fixed relatively easily: it’s much harder to change a culture where the reflex is to say ‘no’. British Airways is, in my experience, just such a ‘NO’ culture. ‘Can I spend my air miles?’ No – not unless you want to travel standby to Bucharest next February 3rd at 4 a.m.
‘I have a business class ticket – can I change my flight?’ No – we’ve just introduced a rule that you can’t do this on the day of the flight. ‘Can I see if a colleague is in the business lounge even though today (unusually) I’m traveling economy?’ NO! Virgin Atlantic, on the other hand, is clearly a ‘yes’ culture. From the second their operators pick up the phone, they behave as if they would love you to redeem your air miles, change your seat, and even more importantly, actually enjoy your flight. As in a stick of English seaside rock, the word ‘yes’ is there in every bite. There are clearly times to say ‘no’ – it’s the way you make people feel when you do so that creates the harm or the magic. It’s possible to say ‘no’ to the request in a way that feels like a ‘yes’ to the person making it. ‘Yes, I’d like to help you. I’m very sorry that I can’t do so on this one. What else can I help you with?’ would seem like a reasonable response. Reasonable, that is, if your DNA reads ‘yes’. I’m often asked how you can tell what an organization really values. It’s simple. Just look at where its leaders spend their time, money, and effort. Action is still louder than words: if you’re seen to be spending diary time and resources on say, health and safety, talent management or coaching, then others will take you seriously. This is because you’re demonstrating your attention is ON. Attention is everything: when it’s on a challenge or project you will probably be successful. Conversely, look to your failures. They most frequently occur when you’ve taken your attention off, whether we’re talking about failed personal relationships or projects at work. The ON position means being energized, fully in play, supported by the deep belief that your choices in life – and how you make them – have an effect on outcomes, successful or not. OFF, in the sense of ReThink Simplicity Theory, means not being aware of your real opportunities or problems, spending too much focus on distractions that stop you thinking. Too much time in the OFF position is also characterized by a closing down of possibilities, a lack of curiosity about what’s new and fresh that you could bring into your life. So far, so simple. But you’re probably thinking, ‘so what?’ – every useful theory proves itself in practice. I’ll come to that. Before I do, I imagine you’ve already made some connections of your own. If you’re thinking of your business, where does it have a YES and where a NO culture? Or, thinking of yourself, in which aspects of your life are you really ON, and where and why have you switched to OFF? Be aware that these need not be superficial questions – the very simplicity of thinking YES/NO/ or ON/OFF unclutters the mind and allows it to drill down deep for answers. Of course we could have taken – and you may choose to take – a different set of opposites that would still have the action-inducing effects of Simplicity Thinking. What about: LOVE/HATE, PLAY/STOP, LIGHT/DARK, FAST/SLOW. These are fertile ground for your mind to grow fresh solutions, considering where in your life are you fast, and where do you need to be more slow? It could kick-start a creative way of thinking about balancing your time and your attitude towards time. If you’re thinking of your business, let’s start with something practical like signage. By this, I mean literal sign posts to your offices, in your retail outlets or factories, as well as the signs you send through recorded phone messages, brochures, and your website. Food and drinks allowed – enjoy! The sign shouts YES to a prospective customer. It’s possible to go into a shop and be bombarded with NO signs: NO children, NO food, NO refunds, etc. In my home town of Oxford, the central car park has eleven such negative signs that you read even before you’ve parked your car. The message is clear – GO AWAY. Similarly, you could map out a customer’s journey in dealing with your organization, removing unnecessary no’s and substituting a yes. Try applying Yes/No thinking to how you and your company respond to new ideas, those from within and outside the organization. Do you have a ‘Yes, but’ culture? – which is another way of saying, ‘The answer is No. Now what’s the question?’ What can you do to encourage a ‘what if’ or ‘why not’ reflex that allows you to see the potential in fresh and different approaches. In your talent management, to what extent do you say yes to mavericks, innovators, and interesting people with holes in their CV? The message here may be subtle, but limiting: only people who fit the mould experience a yes, while those who could radically transform your business may be standing outside a door labeled no. The notion of being on or off is, for leaders, a fresh way of looking at your sense of priorities. You could approach this by inducing a dose of healthy paranoia: what are the things you’ve taken your attention off, that you know will come back to bite you in six months or a year’s time? And how can you demonstrate visibly that your attention is on a particular theme? If, for instance, you are CEO of British Airways with its appalling record of losing bags, you would want a report detailing how the problem is being fixed on your desk everyday so you could let the rest of the organization know you are ON to it. In personal terms, you might think about the quality of your attention on those dear to you – family and close friends. Are you saying yes to their demands, spoken or not, on a regular enough basis? Where does your attitude say ‘no – I’m too busy for this’? Are you putting enough attention on developing new skills and ways of living that will bring you greater fulfillment, or have you simply switched off these ambitions, hoping to return to them at some mythical future time when you are less preoccupied? And in personal relationships, do people feel you are really present and ‘on’ with them, or is your mind on your blackberry or the next thing you are meant to be doing? Just thinking of these questions should be enough to propel your life, personal and professional, in a more positive direction. If your preference is to be more structured, you could use the chart below, provided you accept that only ticks or crosses are allowed. I’ve selected a range of soft and hard business areas, and I encourage you to create your own. Finally, the word ‘application’ has an often-overlooked shade of meaning: that we really ‘apply’ ourselves. It needn’t be hard work: often solutions come to us in our quiet, unguarded moments. Provided we’ve uploaded the problem into our mind, sitting under an apple tree or taking a morning off to just potter may be exactly the right setting for your insights to come. Paradoxically, time that’s non-productive in external terms can be the most productive for self-awareness and new ideas. Saying YES to some laziness and loose space in your life might just be the most important decision you can make. For your health, well-being, and even your sanity. So hail to the Czar of Simplicity, Vincent Van Quickenborne, and all the business leaders who will be able to apply the genius of simplicity to their operations. Lower costs, less hassle, and the elegance of simplicity in business processes are the benefits that will surely follow. Nigel Barlow’s new book is ‘Piensa diferente’ (Alienta). 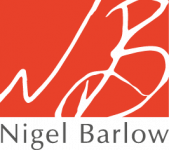 Nigel is an agent provocateur, coach, and speaker to many of the world’s leading organizations, helping them to re-think their lives and businesses. He was a founding director of the Tom Peters Company in Europe and currently runs Service Legends Ltd and The Rethink Project. He lives in Oxford and Heathrow Departures lounge.